With more than 40 different exhibits and over 4,000 kinds of aquatic creatures, the AQWA - Aquarium of Western Australia offers a remarkable experience and a great way to learn about the marine life inhabiting this part of the country. A vast attraction, it is also home to one of the biggest tanks in Australia, the Shipwreck Coast, holding three million litres of water. When you enter the aquarium you’ll get to walk through a long transparent tunnel around which you can admire all kinds of animals swimming all around you. You’ll see huge rays, loggerhead turtles, even sharks that reach an incredible four metres long, alongside octopuses and seahorses. If you’re feeling daring, go underwater with the Reefwalker adventure, in which you’ll get to see an incredible mix of coral selected from the 12,000 kilometres of Western Australia coastline. Keen snorkelers and divers can rent some kit and take to the water with a guide to see the reef sharks up close. For a rather dryer experience, you can stay on the one side of the glass and admire the display. You’ll find so many more creatures at the Great Southern Coast exhibit, as well as the Perth Coast exhibit where you’ll get to see jellyfish among the many species that inhabit the sunny city’s coastline. At the Far-North Coast exhibit meanwhile you can find out more about this remote part of the country, exploring the tropical lagoon habitat with its crocodiles and unusual fish. Head to the DANGERzone exhibit to see some of the scarier creatures you might come across in this part of the world, such as stonefish, sea snakes and the blue-ringed octopus. You can even touch some of the safer creatures dotted around the aquarium. About 22 kilometres to the north of Perth, the AQWA lies next to Hillarys Boat Harbour and is open throughout the year except during public holidays. If you want to get close to the fish and enter the water, it’ll cost you a little extra and you’ll have to book ahead. Peruse our Hillarys things to do page to learn about many more activities in the area. Like all Perth’s urban parks, this peaceful oasis is where you can escape the summer heat under a palm tree. It’s also a great place to take in some history too. Life is good when you sit on a park bench beneath the shade of a tree by the lily-filled ponds in these classical, English-style gardens in central Perth. Enjoy the beautiful waters, the stunning wildlife and the rich heritage of this fascinating island just off the coast of Perth. 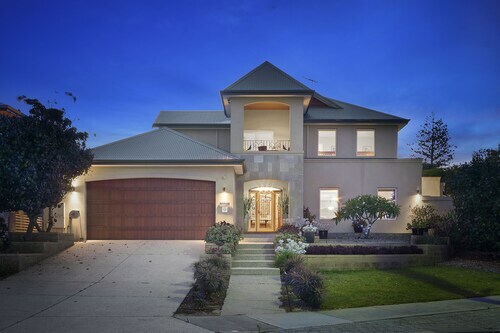 Enjoy the tranquility of a gorgeous natural beach close to the city centre of Perth. Dive in for a swim or surf, laze on the warm sand or go beachcombing. Pedestrian promenades with ocean views, fun playgrounds, shops and cafés, and of course the beach itself, make this one very popular surf beach indeed. Surf some seriously good waves, get your vitamin D fix by lazing on the beach, or watch the sun set over the Indian ocean on one of Perth’s best surfing beaches. Meet family and friends for a picnic beside the lake of this inner-city park that is known for its annual fair, a free community event. Swim or surf, laze on the soft sands, stroll among the dunes or watch the sun set over the ocean from this serene city beach, just west of Perth’s city centre. This East Perth park with some of the best Swan River views gets you away from the tourist trail and the high-rises of the inner city. An exciting new addition to the Perth riverfront, this precinct has everyone talking. There is already heaps to see and do and it’s not even finished yet. Jump in for a surf or swim, visit the nearby aquarium, or just laze on the pristine sands of this popular Perth beach that looks dazzling all year round. Situated by the ocean, this luxury apartment building is within a 5-minute walk of Aquarium of Western Australia and Hillarys Boat Harbour. Sorrento Beach is 0.3 mi (0.5 km) away. 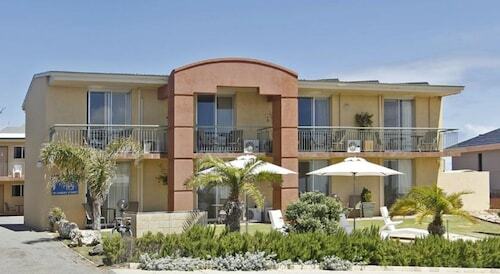 Situated in Hillarys, this apartment building is within a 10-minute walk of Hillarys Boat Harbour and Sorrento Beach. Mullaloo Beach and Scarborough Beach are also within 6 mi (10 km). 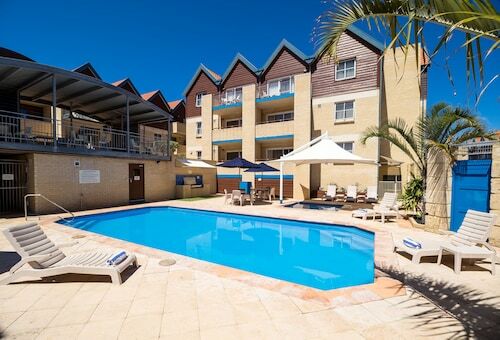 Nestled on the beach, this Sorrento hotel is within a 15-minute walk of Sorrento Beach, Hillarys Boat Harbour, and Sorrento Quay Boardwalk. Aquarium of Western Australia and Mettam's Pool are also within 3 mi (5 km). 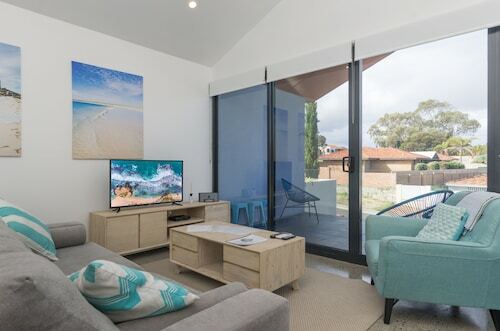 Situated in Sorrento, this guesthouse is within 1 mi (2 km) of Sorrento Quay Boardwalk, Hillarys Boat Harbour, and Sorrento Beach. Aquarium of Western Australia and Mettam's Pool are also within 3 mi (5 km). 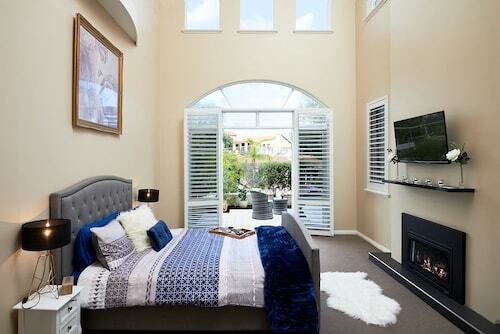 Situated in the entertainment district, this romantic bed & breakfast is within 1 mi (2 km) of Sorrento Quay Boardwalk, Hillarys Boat Harbour, and Sorrento Beach. Aquarium of Western Australia and Mettam's Pool are also within 3 mi (5 km). 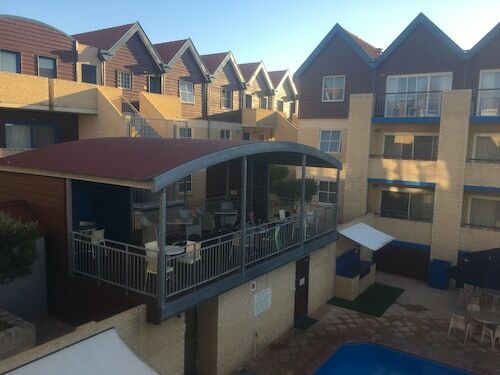 Situated in Marmion, this apartment building is within 3 mi (5 km) of Sorrento Beach, Hillarys Boat Harbour, and Scarborough Beach. Mettam's Pool and Sorrento Quay Boardwalk are also within 3 mi (5 km). 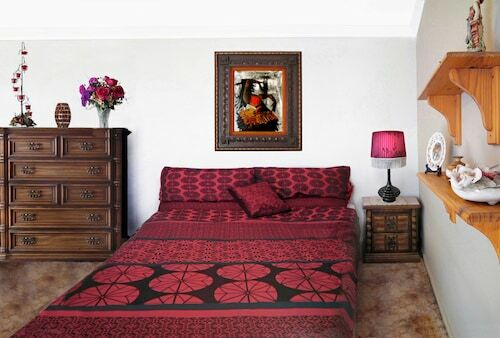 Situated in Hillarys, this guesthouse is 0.9 mi (1.4 km) from Westfield Whitford City and within 3 mi (5 km) of Hillarys Boat Harbour and Sorrento Beach. Mullaloo Beach and Sorrento Quay Boardwalk are also within 3 mi (5 km).